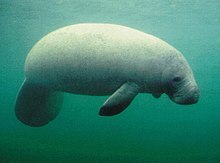 （英文）University of Washington Libraries Digital Collections -- Freshwater and Marine Image Bank -- Aquatic Mammals[永久失效連結] An ongoing digital collection of images related to marine and aquatic mammals. Hoelzel, A. R. (Ed.). Marine mammal biology: an evolutionary approach.. Oxford: Blackwell Publishing. 2002. ISBN 0632 05232 5 （英语）. （英文）Lavery, TJ, Butterfield, N, Kemper, CM, Reid, RJ, Sanderson, K. 2008. Metals and selenium in the liver and bone of three dolphin species from South Australia, 1988 - 2004. Science of the Total Environment, 390: 77 - 86.